Located in the heart of the Chianti Classico region, immersed in a park of 20 hectares and surrounded by vineyards, olive groves and woods, Villa Mangiacane boasts a breathtaking view over the Chianti Hills. This ancient house dating back to 1600 imposes itself with great majesty on the surrounding nature, not aggressing it but managing to create an image of great harmony with it. Since it is not far from Florence, this is a good starting point for many cultural visits in the birthplace of the Italian Renaissance. Nearby there are also Siena, San Gimignano and Arezzo, which in addition to the interesting cultural attractions offer the possibility to make wonderful food and wine tours in the prosperous wine production areas of Tuscany. It is an ancient luxurious residence the Villa Mangiacane of the seventeenth century built by Cardinal Francesco Maria Machiavelli, uncle of the famous writer Niccolo Machiavelli, who here wrote his political treatise “The Prince”. The legend says that also the sculptor Michelangelo has participated in its design. Villa Mangiacane was sold in 1645 to the family of the Marchesi Mazzei, and finally in 2000 to the South African entrepreneur Glynn Cohen. The current owner, almost bewitched by the architectural charm of this residence, decided to restore its former glory through a careful renovation project. The result is a hotel of great charm, that they put at the disposal of modern travellers accustomed to high quality standards. The Villa Mangiacane is divided into several levels: in the central part are located some of the rooms, the large lobby and the restaurant. 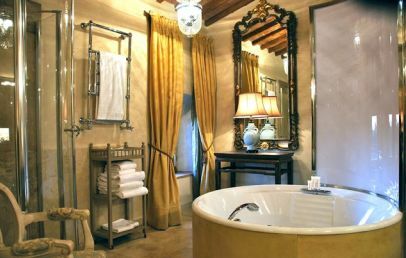 There is also a luxury lodge, overlooking the lush vineyards and olive groves of the estate which is characterized by several Renaissance frescoes that represent scenes of hunting. 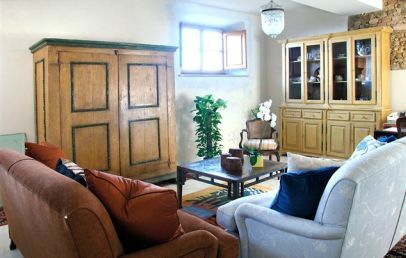 The furnishings are of great class and elegance, all coming from the private collection of Mr Cohen, which consists of furniture, paintings, art objects and antiques from all over the world gathered during his several journeys. 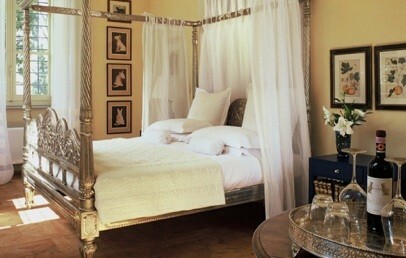 Villa Mangiacane has 28 rooms distributed over the two villas: Villa Machiavelli and Villa Mazzei. The categories are Classic, Superior, Deluxe, Junior Suite, Terrace Suite and different other lovely Suites. They offer a view either over the garden, the vineyard or the surrounding valley. They vary in size and shape and are all tastefully decorated and furnished with antiques, carpets and fine fabrics and equipped with luxurious marble bathrooms. 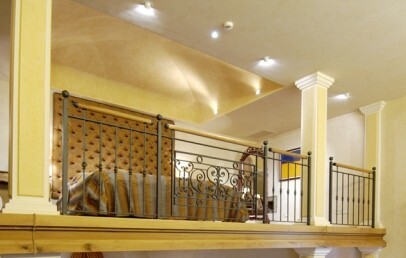 The atmosphere of the environment of the rooms and suites is unique and inviting to enjoy rare moments of relaxation. 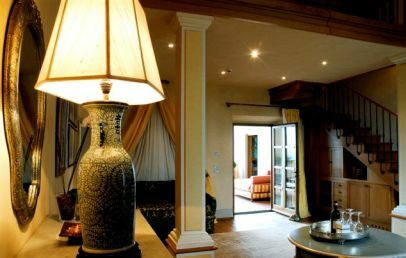 The flagship of this historic Villa is the spacious Royal Suite, enhanced by a silver king-size bed, Indian furniture and ornaments, a fireplace, a large Jacuzzi bathtub and the seven expandable windows overlooking the Tuscan countryside. All rooms are equipped with the modern comforts: air conditioning, LCD flat screen TV, internet access Wi-Fi, minibar, safty box, hairdryer. The cot and the third bed are available upon request. The delicacies can be tasted in the elegant restaurant or during the warm evenings dine in the garden. For a more intimate setting the Vinotheque or the private wine cellar is the best place to choose. Light lunch is served around the pool and the breakfast in-room or in the breakfast room or outside in the garden during the warmer months. Villa Mangiacane offers typical dishes of the Tuscan and Italian culinary traditions, with particular attention devoted to the presentation of every dish. 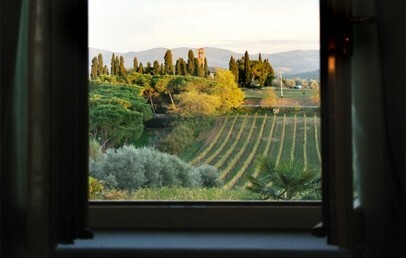 The characteristics of the food are then enhanced by excellent carefully-selected Tuscan wines. 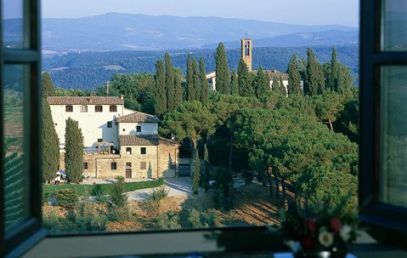 The hotel itself, surrounded by vineyards and olive groves, has a good production of wines such as Chianti Classico, and high-quality olive oil. It is also worth mentioning the nice terrace overlooking Florence, where guests can relax in the evening with a cocktail wrapped in nostalgic retro atmosphere that characterizes it. Wireless Internet access and free public parking, meeting room facilities. The property has a wide range of services for top level events, from the heliport to the security service. 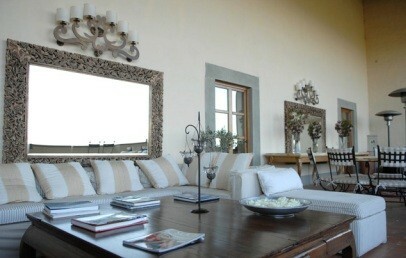 Villa Mangiacane is also a good choice for exclusive events. The villa offers two spacious outdoor swimming pools where you can spend unforgettable moments of relax enjoying the beauty of the surrounding nature. You can rent a bicycle or go trekking to explore the surrounding nature. For the more adventurous guests Villa Mangiacane offers an unforgettable ride on the hot-air balloon with continental breakfast and champagne after landing. Fans of Tuscan and Italian cuisine can concentrate on cooking classes, during which they will be able to learn and cherish great culinary secrets. For the well-being, Villa Mangiacane offers different types of massages and facial beauty treatment, as well as a small fitness area. 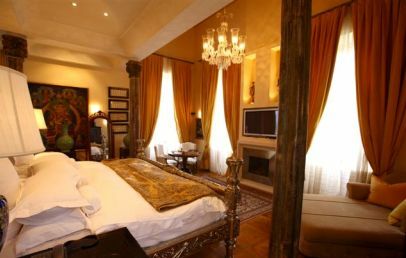 Double room located in Villa Mazzei. Bright and chic those rooms are classy furnished with unique art. 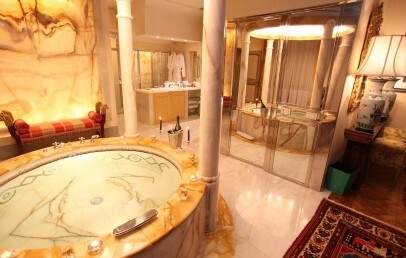 The private bathroom is covered in marble and it has a bath tub, shower and hairdryer. Classic rooms have a beautiful garden view. Double room located in Villa Mazzei with different furniture from one another, all handmade and inclusive of unique art. The private bathroom is covered in marble and it has a bath tub or a shower and a hairdryer. 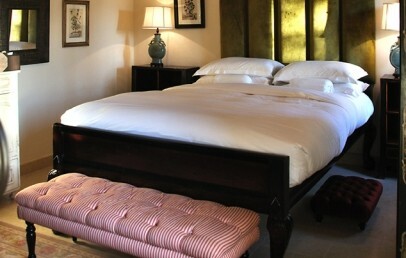 The Superior rooms have a private garden with plunge pool. 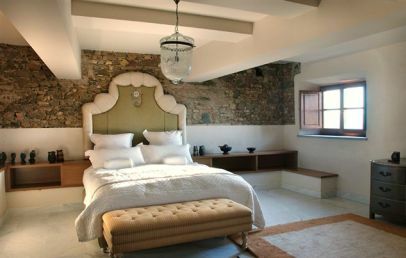 Double room located in Villa Mazzei, recently refurbished in an eclectic style by Ralph Krall. 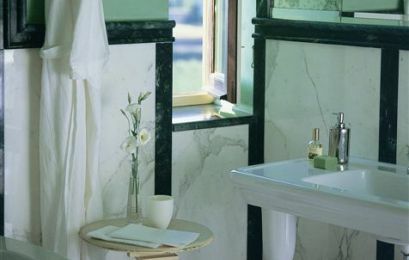 The private bathroom is covered in marble and it has a bath tub or shower and hairdryer. 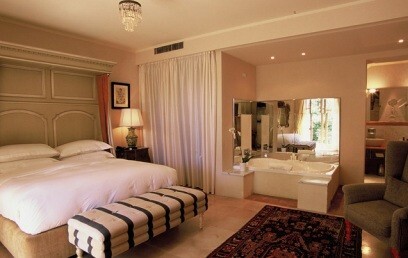 The Deluxe rooms have a private garden with plunge pool (on request). 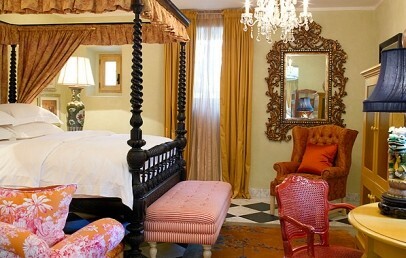 The Junior Suite is located in Villa Mazzei, recently refurbished in an eclectic style by Ralph Krall. The private bathroom is covered in marble and it has a bath tub and shower and a hairdryer. 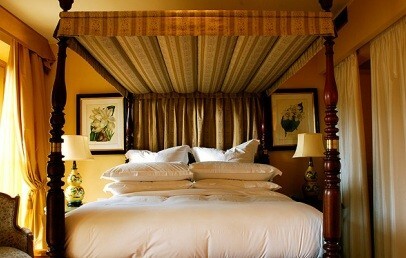 The Junior Suite has a private garden with plunge pool (on request) and a vineyard view (on request). 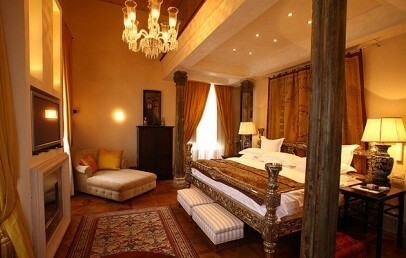 Wide and elegant loft room Suite in the Machiavelli Villa. 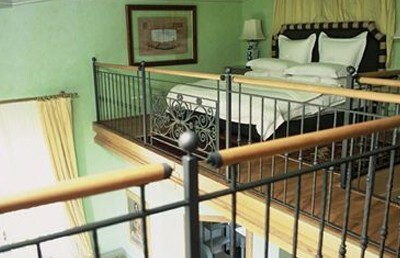 The bedroom with the king size bed is in the loft, downstairs guests could enjoy a luxury and cozy living room with dining room. The private bathroom covered in marble has a bath tub and shower and a hairdryer. This Suite has a shared terrace, furnished with all comforts and with all the facilities for romantic dinner with a wonderful view on the charming country of Tuscany. Locatet on the top floor of the Machiavelli Villa. 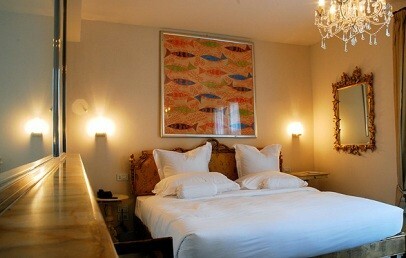 This Suite offers two double loft rooms with king size bed or single beds (on request), a living room and a dining room. 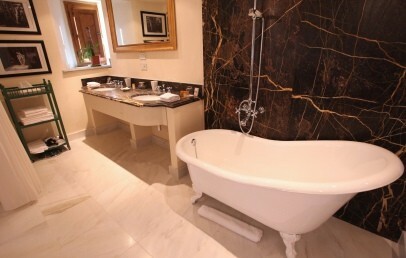 Each room has its private bathroom covered in marble with a bath tub a shower and a hairdryer. The private terrace overlooks the breathtaking cathedral of Florence. 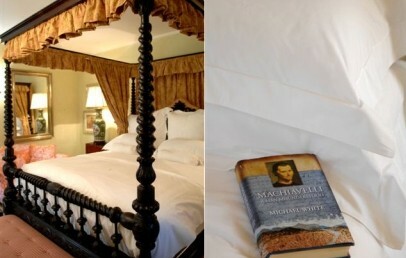 Unique Suite in the royal part of the Machiavelli Villa. It is divided in a large bedroom with king size bed, and independent living room and dining room. The private bathroom covered in marble has a bath tub a shower and a hairdryer. This Suite has a wonderful garden view. The majestic room in the entire structure, the Royal Suite has high ceilings, a king-size bed in silver, handmade carpets and fine furnitur, Indian décor and a fireplace that creates a cozy and romantic atmosphere. Further it offers a living room, a dining room and a luxurious marble bathroom with shower cabin, Jacuzzi and steam sauna. 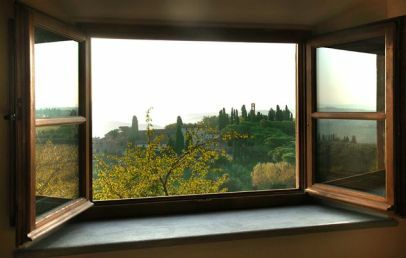 Seven expandable windows overlooking the Tuscan countryside. Free upgrade in a higher room category (upon availability). One bottle of Mangiacane wine and fresh fruit in the room upon arrival.